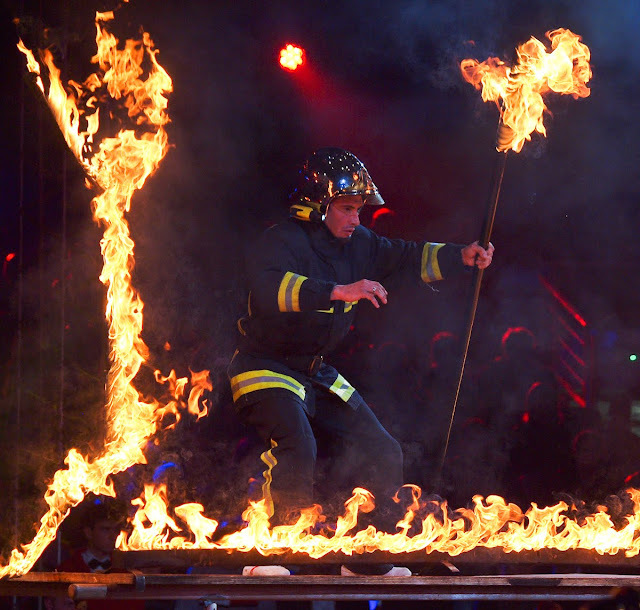 The gymnasts of the Pompiers de Paris (the Paris Firemen) were brilliant. The 38 gymnasts really are Paris firemen. They were awarded a 'Special Mention' by the Jury. Wow, you got some amazing shots! You got some GREAT photos at the circus! Thanks for the photographic report from your fun outing! Wow I almost feel as if I'm there. Pretty exciting! These photos are brilliant. Nothing short of brilliant. I love the artistry of the flames and smoke. 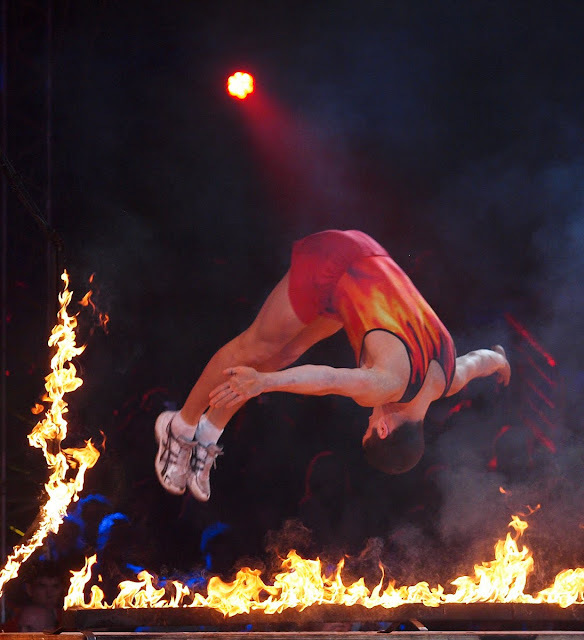 The gymnast's arms, shoulders, head and torso are in sharper focus than his feet, showing the faster movement of his feet rotating around his body. Your photos are spectacular, and this circus is five star...being five the highest and the best world class. I love both photos. The licking flames are remarkably clear and give such "oomph" to the pictures.